Cue the laughter, canned or otherwise. 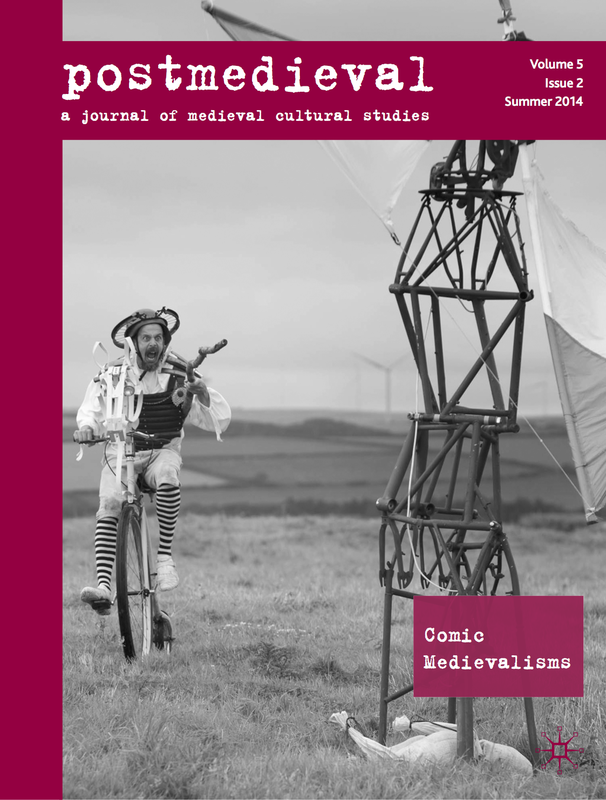 This issue of postmedieval explores the role of laughter and humor in medievalism. The medieval period has long provided a fund of images and ideas that have been vital to defining ‘the modern.’ From the earliest parodies of medieval chivalry, through to the scatological humor of contemporary internet medievalism, it is clear that as long as there has been medievalism, people have indulged in medievalist laughter. Comic engagement with the Middle Ages has had a vital role in the postmedieval imaginary, and thus warrants serious attention, but to date it has not received sustained analysis. The work that has appeared on comic medievalist texts has not yet led to the development of a critical language to understand the ‘affective-historical’ responses these texts generate. The essays in this issue take steps toward the development of that language. Ranging from anonymous verse of the sixteenth century, across the ‘adolescent’ prurience of eighteenth-century theater and verse, and the often overlooked humor of Walter Scott, and arriving at late twentieth and twenty-first-century televisual, cinematic and internet culture, this issue addresses a range of key questions, including: when did the Middle Ages become an object of laughter, and why? What registers of medievalist humor can be identified, and what do they ‘do’ to, and with, the medieval past? How does laughter engage with temporal and historical sensibilities? Does medievalist humor laugh mostly at the past, or does it use the past to laugh at the present? Challenging truisms about humor as an inherently subversive phenomenon, these essays together explore the affective and cultural complexity of laughing at the Middle Ages. Taken together, they demonstrate comic medievalism’s capacity to both query and reify historical periodization, as well as its tendency to preserve cherished notions of the Middle Ages even as it appears to question them. And finally, the issue also features a Book Review Essay by Nicole Sidhu on "Comedy in Translation: Politics and Poetics," which covers work on and editions of comic literature by Ned Dubin, Jody Enders, and Vladmir Propp.